The more tools you use to advertise your listing, the more people you can reach. 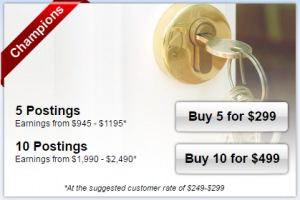 Our Assumable Listing Service adds a huge advantage to sellers who wants more exposure. How? The ALS reaches an un-tapped audience of buyers who are shopping for Assumable properties. 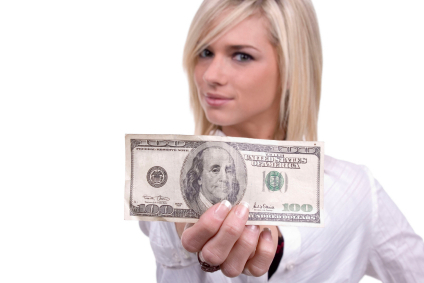 Plus agents earn $100 everytime they post a property in our directory. Just gather a few loan details from the seller and your on your way. Expand your reach - MLS it, then ALS it! 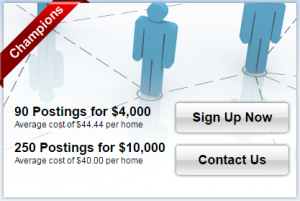 Earn your traditional income* plus $100 for each property you post. Any Agent can enjoy earning $100 when they post assumable properties for sale in our directory. Without changing any of your current processes you can now be paid just for adding your listing with us. There is no need to wait for closing because we pay up front. All you need is a few mortgage details and the homeowners consent. Zillow reports there are millions of underwater homeowners who need your help. To capture an edge on this marketplace offer a solution to sellers struggling with negative equity. Many are not aware they can take advantage of their existing mortgage terms. FHA, VA and some CONV/ ARM loans are transferable and assumable. Transferring a mortgage with no change in terms releases the sellers liability, preserves their credit rating, and does not expose them to any financial loss. With minimal time and paperwork you can protect their best interest. Every-time you list a property. The A.L.S. is coming soon! 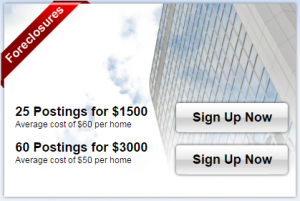 Showcase any real estate property that has assumable mortgages using our Free trial account. All leads are automated. Email notifications will be sent when interest is shown. All comments will be stored in your message folder and can be accessed when agents upgrade to Premium status. In the past, some steered away from advertising the sellers Assumable Mortgage option, thinking it would not provide the same income opportunity. But that’s not true. You can earn the same as you would in a traditional sale. You just need to know how to do it. In an assumption process, even though the seller bypasses all of the settlement cost, and down payments, your fee or commission to facilitate the transaction can be paid separately. Adding an addendum to the PA to disclose this is all it takes. Reconnect with your expired listings. Owners who have low or no equity find it a challenge to sell in this market. Many times they remove their listing when they reach their lowest price point. When a listing expires, agents and realtors do not earn anything. But now you can! Takelist.com makes it possible for you to earn something for your hard work.